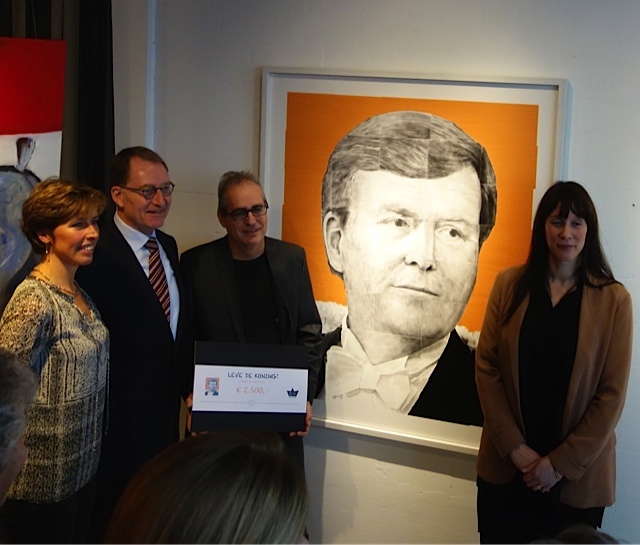 Yesterday I won the first and only prize in a competition for making the best portrait of King Willem Alexander of the Netherlands. Fifty other entrants had send in their works of art. The jury consisted of important art ‘connaisseurs’. The King’s Governor presented the award. It is a big honor for me. 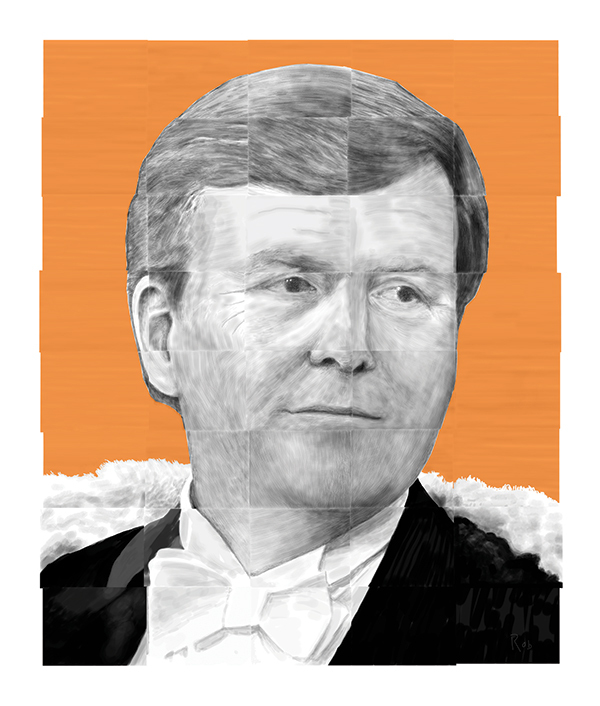 This entry was posted in Figurative, Portrait, Visual art and tagged art, culture, drawing, fine art, image, ink, iPad, King Willem-Alexander, painting, print, sketch on 17/11/2013 by robvandoeselaar. Congratulations! Very nice achievement and a great portrait. Congratulations! Your drawings are incredible! Wonderful achievement and a very good portrait and piece of art! Rob that’s really cool. Are those A4 prints tiled up for the final image? Well done! I sketched all 40 independently and stitched them together in Photoshop. Every rectangle is unchanged iPad screen size. Well done! Is your picture now going to hang in every Dutch Embassy in the world? Well, I don’t know, but we should work on that. Thanks. Alles goed bij jullie? Congratulations, Rob! It’s a really wonderful portrait.